The Swedish National Road and Transport Research Institute (VTI) is leading a series of tests in a major EU project on automated driving. 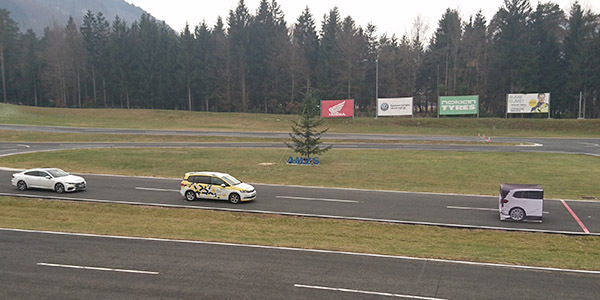 The first driving tests were carried out on a test track in Slovenia in December 2017. The project will focus in part on acceptance among different groups in society, in part on technological development. The aim of the EU project is to increase the safety of and improve the acceptance of automated vehicles. The principal focus of the project is to take into account both technology and people by ensuring that social, ethical, legal and economic aspects are properly investigated during development and implementation. “In order to achieve acceptance and be able to effectively introduce automated vehicles onto our roads, we must take into account opinions, expectations and needs from both citizens and stakeholders. As a part of the project, VTI will conduct a survey on acceptance,” says Anders Lindström, Research Director at VTI. The other part of the project involves developing the vehicle’s interface and driver support based on the needs and expectations that emerge. In addition, the project team will develop the technology to detect objects which get in the vehicle’s way, for example, in order to avoid collisions with vulnerable road-users. 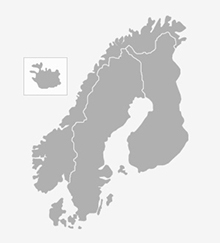 “It is a very exciting commission in which VTI will coordinate and implement some of the tests that will be performed during the three years that the project will run,” Anders Lindström says. The idea is that the project will propose new test methods and test certificates for car makers and their subcontractors. “As VTI has both wide-ranging experience and advanced technical equipment, our contribution can include tests in driving simulators, simulations with unprotected road-users in Virtual Reality and knowledge in terms of detector development,” says Niklas Strand, researcher at VTI. Eleven organisations, research institutes and universities from seven different countries are participating in the BRAVE project (Bridging gaps for the adoption of automated vehicles). The project will be completed by summer 2020. VTI is responsible for the work package that involves testing and validation. This entry was posted in Human Behaviour and Attitudes, Intelligent Transport Systems, Safety, Vehicles and tagged automated driving, automated vehicles. Bookmark the permalink.